thinklikeabee | Bees are part of our tribe! We need them for food, beauty, poetry, and soul wisdom. We are dedicated to education, advocacy and protecting all things pollinators. Swarm Season: Honey bees are House Hunting! (Albuquerque, NM, April 24, 2019)-– Do you know anyone who called an exterminator when they discovered a swarm of honey bees? If so, that is especially sad because honey bees are responsible for every third bite of food we consume and they contribute $15 billion to American agriculture each year, and as any beekeeper will tell you, they are battling a combination of diseases, parasites, pesticides, and malnutrition. April and May are prime swarm season and it’s a special privilege to witness swarming honey bees. Albuquerque City Council elected Albuquerque to become a Bee City USA affiliate in 2016 to raise awareness of how vital pollinators are to life as we know it, and the challenges all pollinators face. We are Burque Bee City! Honey bees function as a superorganism. In other words, a single honey bee cannot survive alone. While there are more than 20,000 species of bees in the world (think bumble, sweat, mason, leafcutter, digger, miner, carpenter, squash, blueberry, sunflower…), only seven of those species make honey. North America would not have honey bees today had the European colonists not introduced them in 1622 because they needed wax for candles. The honey bee’s closest cousin is the bumble bee, a fellow colonist, with a queen and worker bees, but not one that overwinters or swarms like the honey bee. Honey bees have a large, complex society in which as many as 60,000 members perform services ranging from gathering food, constructing wax cells, tending the queen, providing health care, heating and cooling, nursing babies, etc. This allows them to build homes and food stores that get them through the winter, prepared to come out like gangbusters in the spring. Splitting the colony in half and leaving with the old queen allows a new colony to be born, with a new queen. To prepare for swarming, nurse bees create new queen cells and the old queen’s court withholds food from the queen for a few days to make her flight-weight, since the only other time she has flown was for mating. Then the worker bees that are leaving the hive fill their honey stomachs for the journey to their new home. Gorged on honey, their abdomens are so distended they are almost incapable of stinging. Unprotected by their hive, a bee swarm is dangerously exposed to rain, cold, and myriad predators, and generally cannot survive more than three days. Ironically, with no hive to defend, they are much less defensive when swarming. Their focus is protecting their queen mother at the center of the swarm. She is responsible for their continued existence because most worker bees don’t live more than six weeks during the growing season. Throughout the day, scout bees busily fly in about a three-mile range to identify prospective homes. They report back to the swarm through waggle dancing in a figure eight. The more intensely they dance, the better the chances their prospect is dry, protected from predators and large enough to house the colony’s food and babies. It’s really fun to watch multiple waggle dancers on the surface of a swarm! In a democratic process documented by Dr. Thomas D. Seeley in “Honeybee Democracy”—kind of a town hall meeting, they choose their new home, usually in a hollow tree. 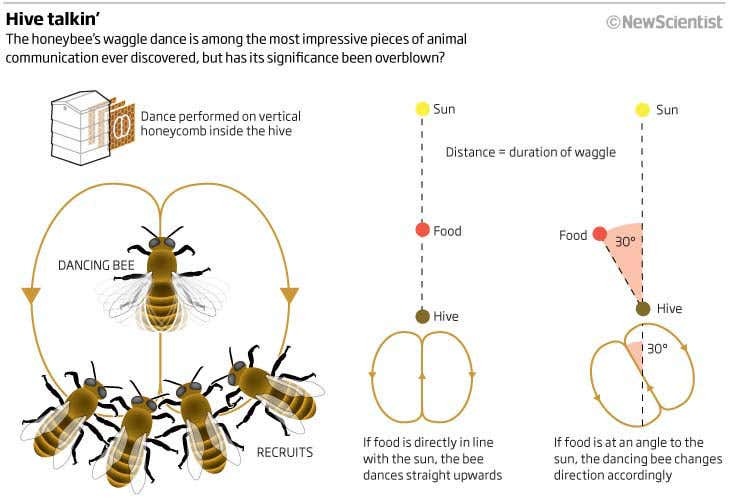 If a bee has found a better prospect, a scout will investigate and report back with her own waggle dance. When the scouts reach consensus, the swarm takes flight to build their comb in their new home—wax comb produced from their wax glands to store either pollen, nectar, or brood. Almost all beekeepers dream of catching swarms, since buying bees costs about $150 or more per nucleus hive. Most importantly, you will be helping to sustain one of the world’s most fascinating and beneficial creatures. Think Like a Bee Friends, Spring has sprung and it is time to love on your bees! I am shamelessly plagiarizing the most recent newsletter of BEE CITY USA/Xerces Society because they say it so well. (SEE BELOW) Sam Droege is a member of their Science Advisory Board and tells us how important it is to provide a smorgasbord of chemical free-NON GMO plants, flowers, trees, shrubs that are native to your area to welcome the pollinators back. Many of the ornamentals and exotic plants, including Kentucky bluegrass, imported to landscapes around the country need a high amount of water, fertilizer and chemicals to keep them alive. These are a no-no for bees, birds and butterflies. Here’s some pictures of lovely natives to our High Desert Region of New Mexico. Native Pollinators have adapted to their own particular regions for thousands to millions of years. Apis Mellifera, or European honeybees, are the exemption. They were imported along with many exotics and they are mostly here to do the business of pollinating for human crops and give us honey. Nevertheless, many of the things they need are what native species like, so you can never go wrong with NON-GMO, CHEMICAL FREE native landscapes. Here are some ways you can help bees stay healthy! Remember, they are relentlessly local and they need food close by for all growing seasons. Pollinator advocates can ardently encourage the public to plant natives, but if those plants are not available for purchase, the public can’t plant them. Nurseries are businesses, and businesses need customers to buy their products or services. Since the nurseries that supply native plants are often very small, their tolerance for risk is smaller than larger businesses. If they’re selling trees and shrubs, they have to plan several years ahead before the tree or shrub matures enough to sell. Likewise, if they sell perennials, they don’t want to have to overwinter them if they don’t sell. If you want to be able to find native plants, it’s important to support those local nurseries and retailers. Bee City USA and Bee Campus USA affiliates can promote nursery openings and spring plant sales, and highlight the pollinators to be supported by certain native plants. Guest editorials, letters to the editor, news stories, E-newsletters, emails, and social media posts can bring the customers those growers and retailers need to survive. The more people ask for particular native plants, the greater the chance the growers will propagate them for the next season. We also recommend using the Xerces Society’s Milkweed Seed Finder and Pollinator Conservation Resource Center to locate, support, and celebrate vendors near you! Bee Campus USA – SUNY Cortland garden intern Jessica Moore gets help from nearby child care center to establish salsa garden, vegetable soup garden, and herb and perennial beds. in the community garden boxes between Memorial Library and Cornish Hall. The project is sponsored by the SUNY Cortland Garden.4. 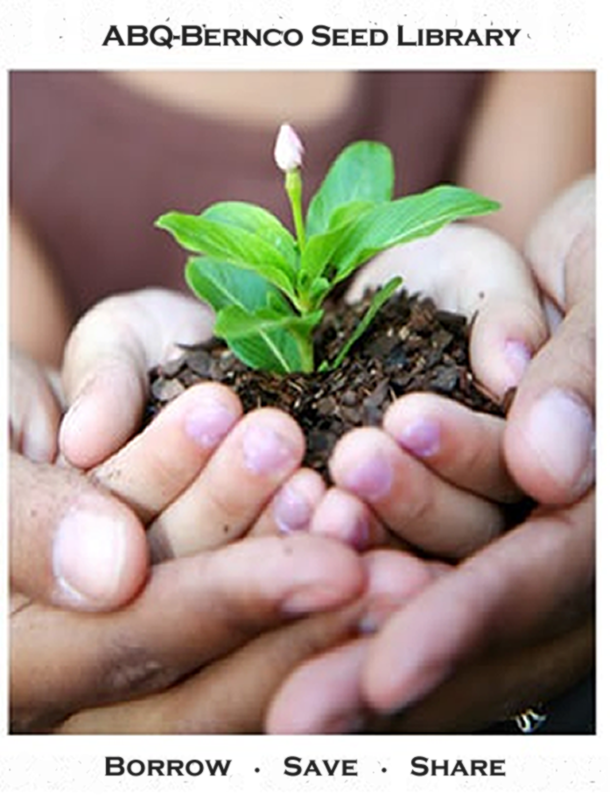 Host and promote planting and habitat enhancement events. They go together like pigs and mud…well, you get the idea. LISTEN UP! Master gardeners, green thumb hobbyists, beekeepers and garden variety humans who love to grow things… I just found out about an amazing opportunity at our annual New Mexico Bee Meeting in February 2019. Our very own Bernalillo County library has free seeds to give away. Yes, you heard that right. FREE SEEDS. All you beekeepers and green thumb master gardeners (or not)out there, make a note to visit. This is an incredible thing. Every season new seeds are made available to the public to plant. If you’ve ever priced out seeds at your local co-op or Burpees or those pricey heirloom catalogues, you will know that seeds are no longer cheap as dirt and readily attainable. They can cost upwards from $4 a packet. ABQ-BernCO’s libraries have non-gmo and native plant seeds, specifically adapted for all 3 growing seasons and the high desert eco-system we live within. You will be able to choose from vegetable, herb and flowers packets. The collection is housed at the South Broadway Cultural Center, but you may request seeds from many library branches throughout Albuquerque. Just bring your Library Card along!!! The ABQ-BERNCO Seed Library was established in 2014 and has a mission of encouraging a community of water-wise home gardeners. The Seed Library aims to provide the access, tools, and skills to enable everyone to participate in this gardening community by offering free open-pollinated, non-gmo vegetable, herb and flower seeds to card holders and by offering free monthly garden-related programs to foster all levels of gardeners through growing, harvesting, seed saving and more—all within our unique high desert environment. “Seed sovereignty” is picking up momentum around the world. If it sounds political, it is. With the rise of genetically modified seeds (GMO’s), there has been a push by ag-industrial giants like Monsanto and Bayer to patent seeds. This would make it a criminal act to save seeds that they have patented. And, if the pollen from your “saved” seeds drifted to your neighbors GMO crop—in effect, “infecting” it with non-GMO stock—you might find yourself summoned to court by a lawsuit from these ag companies or their subsidiaries for a patent violation. Seed sovereignty is about the freedom to save your own non-GMO seed stock and pass them on as a legacy to your children. For indigenous people, it is a rallying cry against the genocide of their land based culture. Funny that something so practical and wise, a practice small farmers annually have done for centuries— or for thousands of years as our indigenous brothers and sisters have demonstrated— is so threatening to the corporate ag establishment’s bottom line. Here in New Mexico, our Indigenous pueblos have been saving seeds in beautifully hand molded pottery for generations. Seed saving is an ancient and important skill. 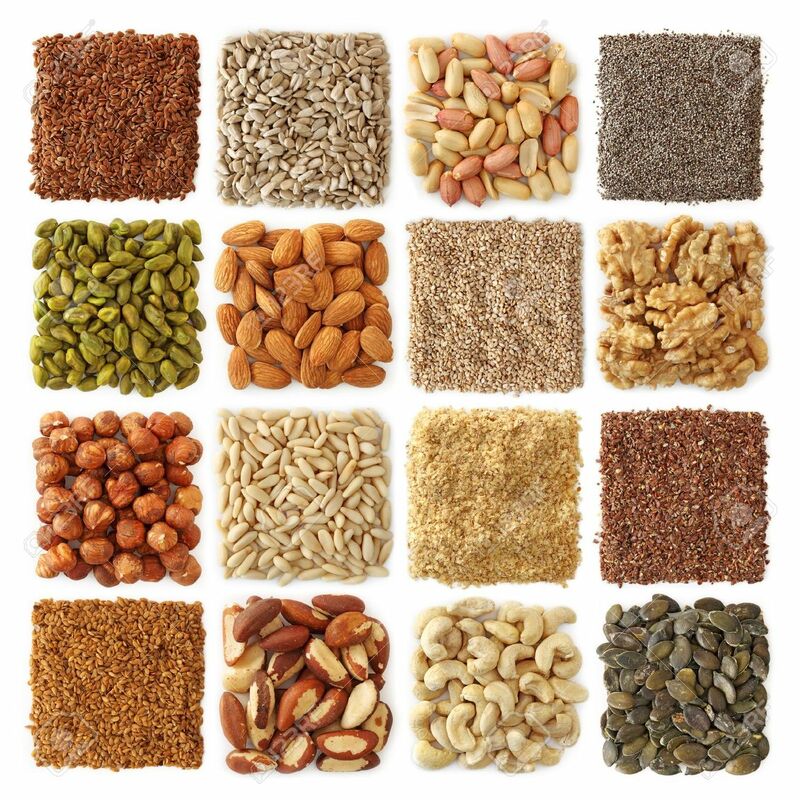 It has allowed cultures over time to develop stronger seeds that are better adapted to our high desert climate, to increase seed diversity, and play a vital role in local food production. Seed saving and seed growing is a radical act. Giving away free seeds is a beautiful gift of Seed Sovereignty—a vote for food security, diversity and the freedom to choose what you want to eat, one household at a time. Get your FREE seeds today! February 14 was St. Valentines Day. Usually I spurn these “made for Hallmark” cultural holidays, finding them to be silly and sappy. It doesn’t mean I don’t observe it with my husband. But we don’t buy “stuff”. We usually just try to have a nice candle lit meal or some good wine and conversation—just to break the daily routine of passing like ships in the night. 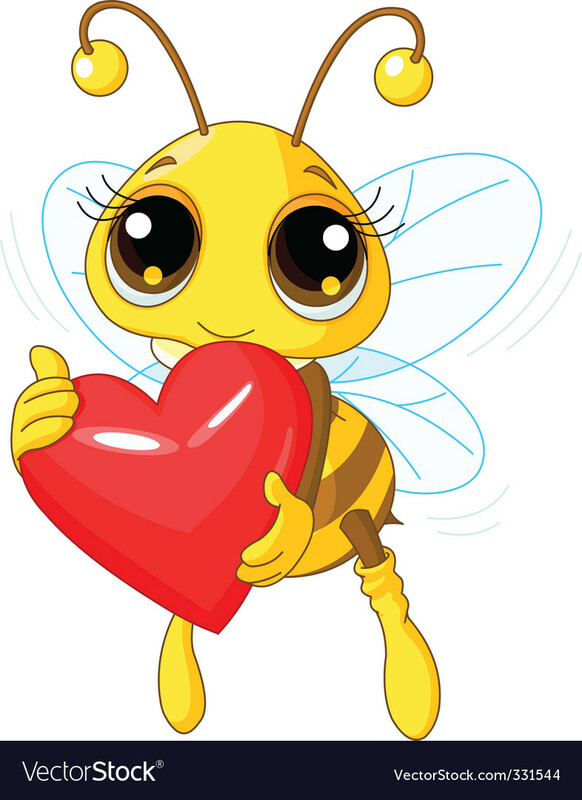 So imagine my surprise when I heard that St. Valentine has been associated with bees. Some call him the Patron Saint of Bees, charged with ensuring the sweetness of honey and the protection of beekeepers. 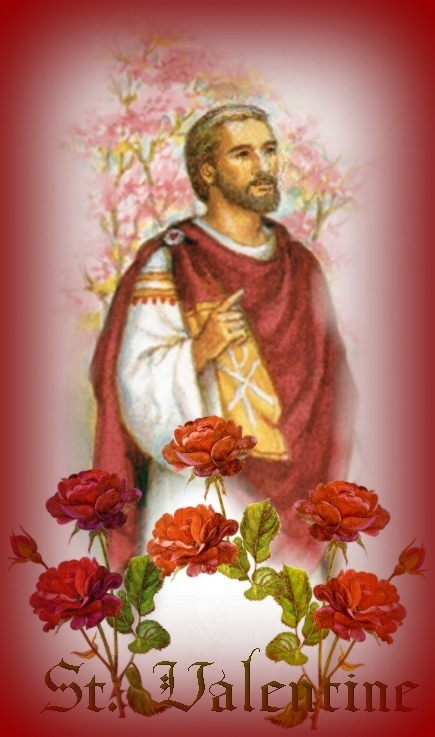 Who really was St. Valentine? St. Valentine was a Christian martyr who died in the 2nd c. The roots of Valentine’s Day date back to the year 496, when Pope Gelasius proclaimed that February 14 would be the feast day of St. Valentine of Rome, taking precedence over Lupercalia—a pagan Roman fertility festival long-celebrated February 13-15. I must admit, if we poured our millions of consumer dollars spent on goofy stuffed animals and roses for Valentines Day into research for what ails the Bees —we’d be a lot further ahead. Cultural sacred cows blind us to what really matters. So, well, St. Valentines Day has been reclaimed a little bit for me. I think next year I’ll send money I would’ve used for a bottle of wine to the Bee research center in Minneapolis, MN. I ask you, can we call a bee “cute”? I stand accused. I have used “cutesy” images of bees for my blog. It seems to appeal to something deep inside us. Something cuddly and accessible that even a child could love! But does that truly speak to the nature of bees, whether honeybees or native bees? Or is this word fraught with baggage that does bees no favors? Rather belittling, reducing or otherwise making bees “playthings”? Bees command respect, whether we like it or not. Merely because they sting! But will other living beings that don’t have such a stark survival tactic be respected in the same way? The late Mary Oliver, rest in peace, left us with a dazzling amount of poetry and prose honoring the natural world. Her love of the creatures, plants and cycles of seasons is legendary. Her work was to observe well and bring back her field notes so that we as her readers might love the wild ones and places too. But she warned us of the power of language and how we understand and relate to this unspeakably powerful and mysterious universe we live within. In her book, Blue Pastures, Oliver writes about the language we use for the wild ones, the non-human world. Oliver calls us to honor, reverence, respect. “Cute”, “charming”, “adorable”, miss the mark. For what is perceived of in this way is stripped of dignity and authority. What is cute is entertainment and replaceable…diminutive, it is powerless. It is captureable, it is trainable, it is ours. For it makes impossible the other view of nature, which is of a realm both sacred and intricate, as well as powerful, of which we are no more than a single part. Nature, the total of all of us, is the wheel that drives our world. Those who ride it willingly might yet catch a glimpse of a dazzling, even a spiritual restfulness, while those who are unwilling simply to hang on, who insist that the world must be piloted by man for his own benefit, will be dragged around and around all the same, gathering dust but no joy…. We are all wild, valorous, amazing. We are none of us “cute”. Through Mary Oliver’s eyes, I see differently. I will be more careful of my words when addressing the animal kingdom. I will remember her caution. Language defines, paints images, sways opinion, empowers or belittles. Words are important. Choose them carefully. Always. Her task of asking us to see the world around us differently has taken root over almost a century. I pray her voice will change this generation’s relationship and the next, to the world of nature. It is dark now, not the first curve of night but the last curve: my hour. The light will soon rise out of this necessary dark. I go to my work, as I like to call it, being whimsical and serious at once. That is to walk, and look at things and listen, and write down words in a small notebook. Mary Oliver, Blue Pastures (Harcourt Brace & Co.: New York, NY) p. 119-120. Thank you Mary Oliver, for helping us see the world around us with new eyes. My first remembered dream of 2019 was of bees. I kid you not. I do dream, but haven’t been remembering them much of late. But this one was blessedly clear, imprinted in living color on my memory as I awoke. I was left with a peaceful, joyful feeling as the dream washed away in the chill dawn of morn. I entitled it “Bees in the Kitchen”. I am in the old farmhouse kitchen of my childhood. My tiniest hive of bees is just sitting there on the kitchen counter. They have died. I am storing them there. Suddenly, a bee begins to emerge from the doorway..than another…and another…and another! There are bees flying around the kitchen and I am amazed! Mom is there, but continues to cook, seemingly unperturbed by the bees in her kitchen. I tell one of my brother’s to help me seal them up so we can move them outside. I notice they are clinging to the hive and buzzing about, but not too far from their hive mates. They are alive! My bees have resurrected! The world of dreams is one of my favorites. In a dreary, despairing world which often has way too much bad news, the night forest of our dreamworlds are populated with fantastical creatures, unexpected twists of fate, places, people that make no living sense in our waking days. This dream was particularly comforting since the tiny hive featured in my December video did actually die. Some of you might remember me laying my head on the heartbeat of the hive, feeling the warmth in late November, noting the stirrings of a still living hive. With a few cold snaps and 20 degree nights, I went to check them. They had perished. There was something so poignant about the demise of this tender little hive. I had nourished them into the Fall, hoping upon hope that they would grow large enough to make it through. It wasn’t to be. Their death matched my own dark feelings at the end of the year. I sobbed. But as 2019 dawned, my bees were alive and well in the the dream time. This vision will live in my imagination and tide me over until April when I can pop the tops of my bee hives to peek and see if my bigger, stronger colonies survived. The mythical bees of my dream world reminded me that life springs eternal, even in the midst of death. Bees, as the messengers of resurrection, abundance, and fertility in many traditional and religious cultures, are icons of new life, of the coming Spring —even if the coldness around is daunting. Or 80,000 honeybees to raise a village. Or a “hive mind” to solve the bee crisis. You, my intrepid readers and supporters, are that Hive Mind. Many acting in one accord for the good of all. Thank you friends, for your incredible generosity and support of Think Like a Bee this season. Some gave a little, A few gave a lot, but all gave some. I am humbled and deeply grateful. We have raised $2,500 to date from you, our pollinator community and beehive of support! Wahoo! Think Like A Bee continues to seek how to act on behalf of honeybee and native bee issues—and since bees are “the canaries in the mine” for humans, it benefits you too! For 2019, Think Like a Bee has identified a clean and healthy watershed (soil, water and air) for bees, pollinators, plants, critters and humans alike. Continuous habitat corridors around our city/town and forage availability all through the season are also critical. To these ends we will initiate our #feedpollinators project with the City of Albuquerque in 2019 as well as our Rio Grande Watershed documentary, which will put students on the ground with land based communities —learning the issues as they interview. Look for the documentary trailer in 2019! It will come about thanks to what you have given financially! May we continue to stick together and work for the commons in this new year. I see many waking up from the hubris of profit driven greed, celebrity status, a fossil fuel economy and entitlement. May this precious gem of our blue green planet daily inspire us to value the ordinary sacred acts of many and the whole of our diverse biotic community. We have been gifted this incredible life for only a minute in the larger arc of time. We have come to the end of our funding year. In 2019 we will continue our advocacy with City Hall and our #feedpollinators habitat expansion program, partnering with schools. We hope to continue our summer youth farming intern program to learn about pollinators and healthy food systems. We have plans already in the works to complete a Rio Grande Watershed Documentary in 2019, to use as a teaching tool. A little seed money has allowed us to begin it with students at Taos UNM Media Arts Program….knowing that we must get the word out about our precious and fragile, threatened high desert watershed in New Mexico. We will shine a spotlight on the Mother of all rivers, the Rio Grande, endangered by fracking, industrial toxins and drought. Her waters sustain our foodshed, fill our faucets, feed the soil and critters and basically nourish our bodies and souls with beauty and recreation. As we interview land based elders and Indigenous leaders, who live on a shoestring, we will give them generous honorariums to continue their work of seed sovereignty, Rio Grande water protector, organic farmer. For Pollinator sand human alike, water is life. Think Like A Bee may be small, but like the hive, we are mighty in what we are accomplishing together in the local community! Thank you for caring and showing your support through a donation in this generous season of light. We realize there are many options calling your name for end of the year gifts. The need is great…but consider this, Think Like A Bee donations will be plowed back into our local community. We have next to no overhead. We subsist on the generosity of people’s time, talent and kind gifts. Our goal is $5000. With 40-50% losses of honeybees annually, your support of Think Like A Bee is contributing to the care of these tiniest of invertebrates everywhere. All insects, including bees are the keystones and building blocks of a healthy food system. …Thank you for being a part of the Hive Mind! The solution is how we work together to educate, advocate and create new ways of living in cooperation with all beings on this planet! Winter Solstice is upon us. An earthly turning. Daylight melts into the darkest night of the year…even as humans kindle their artificial lights in this “Season of lights”. I have many reflections about this magnificent, unequaled, intelligent planet of ours as the year comes to an end. My thoughts come on the heels of COP24 in Katowice, Poland. Otherwise known as the Conference of Parties, this is an effort by Governments and nations to address climate change. The first one was 24 years ago in Berlin Germany. It came on the heels of the 1989 Intergovernmental Panel on Climate Change. The scientific community reported that global warming was due to increased carbon emissions. It was a manmade event. Here we are 24 years later. Are we closer to a carbon neutral future? Can we even begin to imagine the catastrophic tipping point of rising temperatures in our carefully balanced biosphere? There have been luminous individuals in these 24 years that humans have been at it—even as the rich and powerful nations desperately avoid responsibility in order to save their “lifestyles”, while the poor and drowning nations ring the alarm. Prophets have arisen in their hometowns. This year it was a young 15 year old Swedish girl. A prophetess. Greta Thunberg is a serious student of climate change. She has lived through a depression in her short life as she came to understand the science and the alarming apocalypse humans are bringing upon this beautiful and precious blue-green planet and all inhabitants. Our home. Her grief about this human driven 6th Great Extinction of Species has made her a tireless advocate. This past weekend I watched an interview with the 1968 Apollo 8 astronaut crew called Earth Rise. A photo they took has become one of the most reproduced photo ever. The astronaut’s voices were thick with emotion for their home as they saw the brilliant blue-green and white marble rising from deep in the inky black void of outer space. Compared to the cold grey starkness of the Moon’s surface, our planet drew their eyes over and over. The astronauts knew they were being shot into space by NASA to study the moon, but over and over, they photographed planet Earth. They wondered aloud why we weren’t more fascinated by our own biosphere than the Moon—the only one we know that can support life in our universe. With a newfound love of their “home”, the astronauts conveyed with hushed reverence how this view of Earth from the moon changed them. It was akin to a “religious” experience. On this Winter Solstice in the northern hemisphere, December 21 at 5:23pm EST, as the bees hang heavy in the pitch blackness of their hives, exuding infrared heat, thousands upon thousands of vibrating bodies trying to survive til Spring…. Go into the darkness. Sit with all the creatures who know that darkness also has a heartbeat. Let the comforting blackness and velveteen inky depths of that dark night of Solstice draw you deeply into her womb. Then, kindle a flame as though to illumine the earth rising. Pray for the courage and the wisdom to act in this new year with the young ones, the wild ones, the creaturely ones who are leading us to a new earth rising. We can not reproduce this planet.